FHA provides great loan options for your new home. Your desired property will require an inspection in order to determine eligibility.To ensure you qualify, be prepared with the following FHA inspection checklist and prevent potential pitfalls. Need details? 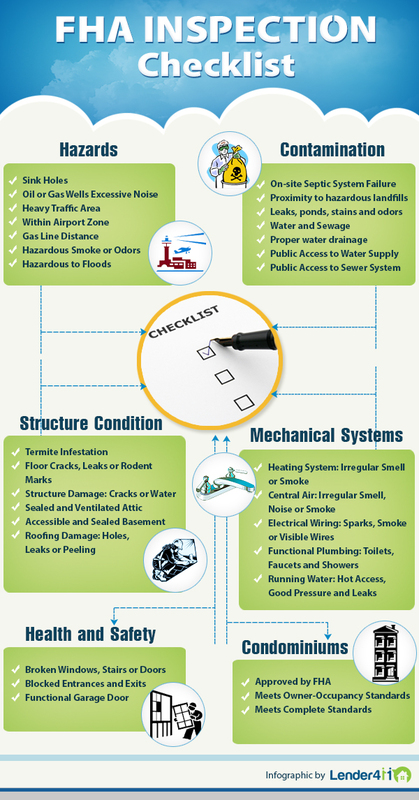 Check out our comprehensive article FHA Inspection Checklist.